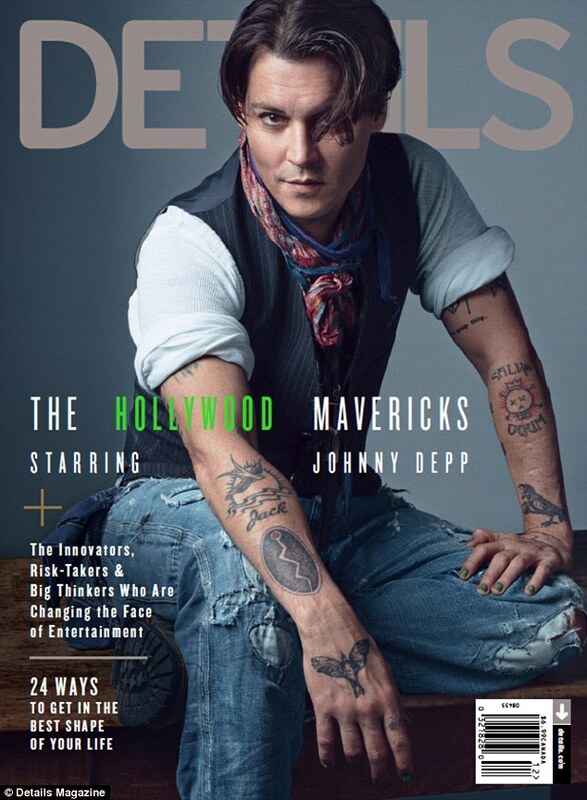 -Much like the rest of us, Johnny Depp “doesn’t give a f***” about his recent movies. –Jake Gyllenhaal was all kinds of adorable on Letterman last night. -Meanwhile, Anna Kendrick says she was “pissed” Jake Gyllenhaal dropped out of Into the Woods. But it didn’t last long because, well, he’s Jake Gyllenhaal. -Speaking of Into the Woods costars, Emily Blunt says she saved Meryl Streep’s life on set — and now is looking for payback. –Diddy (or whatever he’s calling himself this week) thinks Cameron Diaz is the one that got away. JLo must feel just swell about that. -Here are more deep thoughts about the state of network comedy, specifically NBC. -Speaking of TV in trouble, Red Band Society is the latest new fall show to get the axe. -I’m guessing Ellen‘s parody of Fifty Shades of Grey is better than the actual movie. –Billy Corgan has hilariously escalated his beef with Anderson Cooper with “F**K YOU” cat shirts. -Serial managed to secure enough crowdfunding to ensure a second season. –Miley Cyrus says she’s feeling “f–king thankful” in her latest selfie, just in case you were wondering. -I’m thankful for these new photos George Clooney (even if he’s looking a bit scruffier than usual). -Here’s the first trailer for Unfinished Business, with Vince Vaughn, Sienna Miller and Dave Franco.